Annotation: This unique resource is packed with full-color photographs to show you how to make your literacy centers the best they can be. 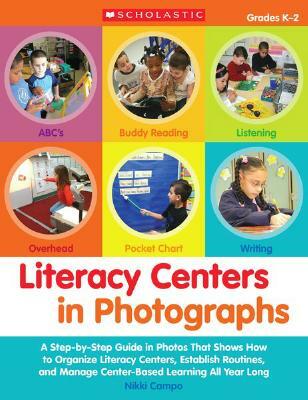 The photographs make it easy to understand how to set up and organize centers for poetry, listening, writing, independent reading, the ABCs, and lots more. Plus, you'll find management tips and activity ideas to help you create centers packed with learning opportunities. - Education, Preschool; Activity programs.